Happy Birthday, Trig – the Places You’ll Go! This Slideshow was created on April 18, 2010 and is updated every time new photos are added. Trig, the places you’ve been, and the places you’ll go! Since the first time we first saw you as an infant on the national stage until today as you turn two years old, we’ve watched you grow into a little boy who has touched many hearts along the way. We are so thankful that your Mom chose life and gave us the opportunity to watch such a special little boy grow up! Our authors at the Sarah Palin Information Blog and the members of the Sarah Palin Web Brigade wish you a very happy birthday, filled with fun and good things. May you have many more happy birthdays, and may God bestow his blessings upon you each step of the way. 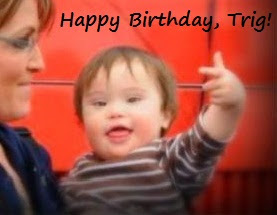 Happy birthday, Trig! Unfortunately, some people–and I use the term lightly–have decided to post disgusting comments where the governor has posted Trig’s picture. How do they live with themselves? Yet some of these same people will whine and complain that we’re the ones promoting hate. They will reap what they have sown. Thank God most people are leaving loving well-wishes for Trig, and I added my own. 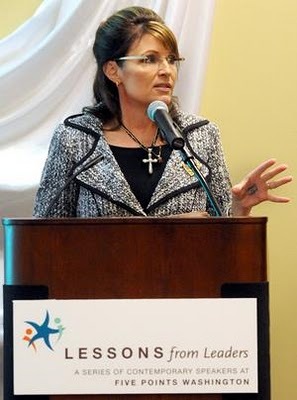 The truth is Trig Palin is a blessing and a gift from God. The fact that he is has totally transformed my way of thinking, and I am so glad his parents have shared him with the world. He has been created in the Father’s image and covered in His love. Below is a full post I published in December called “Trig Palin’s Testimony.” It deserves to be copied and pasted here on his birthday. 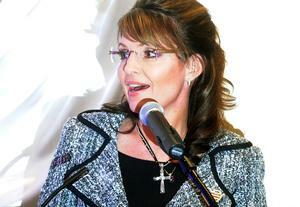 When I see Trig Palin, I smile. When I see him smiling and playing around with his father–as he is in the video–and kissing his mother–as he is in the picture–I smile even more. Trig is a testimony to the beauty and value of all God’s children. I thank God for families, like the Palins, who recognized from the beginning that “every good and every perfect gift” comes from God. I shake my head when I think about this startling statistic: 90% of Down Syndrome babies are aborted. Look at Trig’s smile, hear his giggle, sense how much his father loves him, feel how much he loves his mom–and tell me he’s not worthy of “life, liberty, and the pursuit of happiness.” You can’t, because he is, as is every single life. Thank God for His wisdom; He gave Trig to just the right family. Happy second birthday, Trig. The best is yet to come! Happy Birthday Trig! May your sweet spirit that’s shared w/others who are touched in special ways keep us looking up! Rom. 8:31 is for them! – Sarah Palin via Twitter.